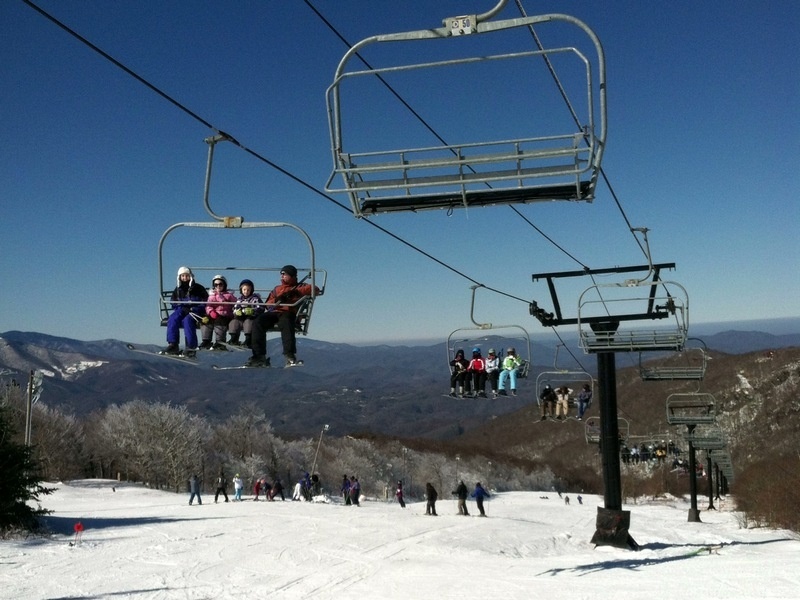 Beech Mountain, NC – Beech Mountain Resort’s 2015-16 winter season will feature enhanced snowmaking on the slopes and a new activity, as the resort has constructed a state-of-the-art snow tubing park. Eleven more high-tech guns have been added in key places on the mountain, especially on White Lightning, a black diamond run with the steepest terrain on the mountain. Three more have been used in the new tubing park. 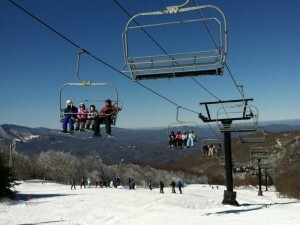 The lighted tubing park sits adjacent to the ice skating rink in the resort village and features long runs with sweeping views of the Blue Ridge Mountains. The tubing park will be open day and night seven days per week. Guests are not required to have a skiing or snowboarding lift ticket to snowtube. Sessions begin every two hours at a rate of $25 weekdays and $30 weekends/holidays. Skiers and snowboarders who visit Beech Mountain Resort this winter will also notice a thorough renovation of the Beech Tree Bar & Grille. The Beech Tree, which opened in 1967, is one of the main gathering places at the resort and one of the last to be renovated. Behind the scenes, the resort’s two main chairlifts received new electrical systems and mechanical upgrades this summer, while an entirely new rental fleet of Burton snowboards was added.